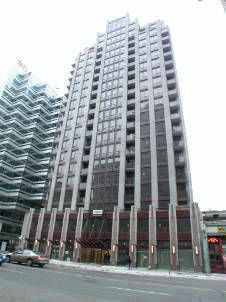 85 Bloor St East condo Centrally located on Yonge & Bloor. 85 Bloor East is a new development by Burnac, Building completed in 2005. 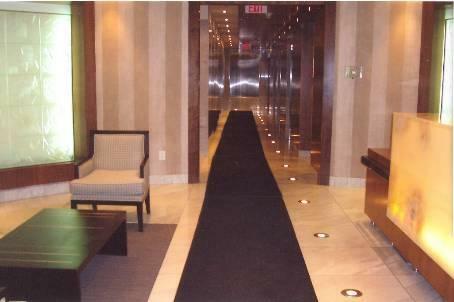 This is a 20 storey condominium with 252 suites, 9 ft ceiling. Elegant circular entrance lobby, with an indoor waterfall, 24-hour concierge, meeting room, multi-purpose room and kitchen, his and hers shower and change rooms, steam saunas, exercise room, games room, video room, landscaped terrace, gas barbeques, underground parking garage with access from Hayden Street. Pre-wired with high-speed data cable for phone/fax/modem/data outlet/internet, ensuite alarm system monitored by concierge. Most have balconies or terraces and 9 foot ceilings. 6 Brand name appliances including built-in microwave with outside vent and full size stacked washer/dryer. Engineered laminate wood flooring. Marble or limestone flooring in bathrooms. If you are interested in Buying, Selling, or Renting, or interested in the current Listings at the 85 Bloor St E please feel free to call me or send an email.